When do words make a difference? 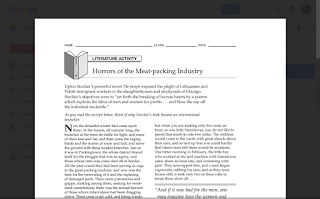 The narrative of muckrakers affecting social change is best told through the meat packing industry reforms. 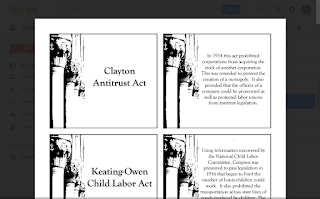 Upton Sinclair's writing about the industry is most notable for influencing legal means of changing society. The Meat Inspection Act and Pure Food and Drug Act, for example, illustrate the changing relationship between government and business. 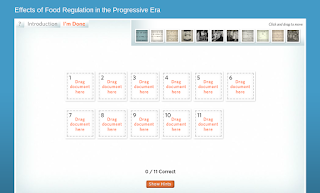 Objectives: Analyze the effects of the written word on progressive reforms. 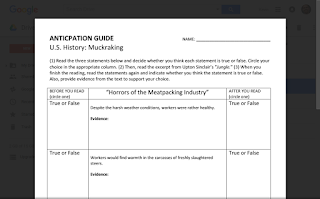 Anticipation guide: "Horrors of the Meatpacking Industry"
Click on the image to complete the interactive activity on the "Effects of Food Regulation in the Progressive Era"
Progressive Card Sort: Use examples from this sort to write a response to the essential question.